Hunter offers top-of-the-line valves to meet every need. The PGV Globe Valve is a hard working, heavy duty valve. Durable enough for residential and light commercial applications. Available in 1” options for smaller residential use or in 1-1/2”, and 2” sizes for larger or commercial sites. The larger (1-1/2" & 2") valves are angle/globe style. Options available with or without flow control. 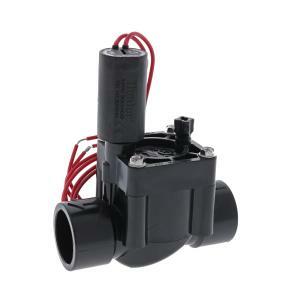 These durable valves all include a rugged diaphragm with support for preventing stress failure. The PGV valves can be fitted with Hunter's DC Latching Solenoid (sold separately) to operate valves with a DC controller.